50 followers = giveaway time! A giveaway - so exciting! Congrats on 50 followers Marie. Is it wrong that I would love to be entered for both?! The first one is my favourite. Whilst I am definitely not skilled in upscaling, my mother-in-law was a fashion designer before retirement so hopefully she'll be able to talk me through it! And I'm with you on the second one, I love the keyhole neckline. Well done! I'ts amazing how many like minded people are out there. 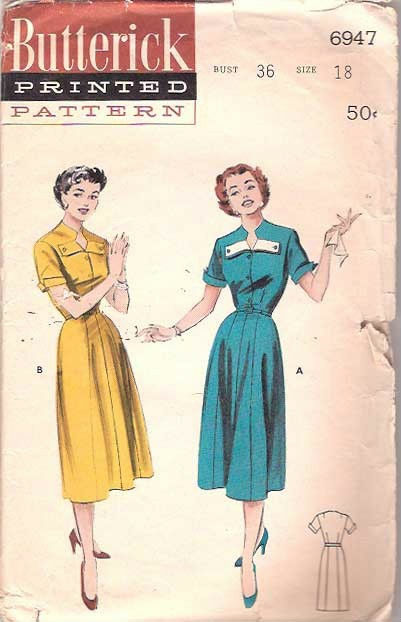 I wasn't sure anyone would read mine either!I'd love to have a go at Butterick 6947 and I'll be doing Casey's Swing Dress Sewalong. Congrats on the 50 follower mark. I still don't have a single follower. But I got my first comment yesterday! I was shocked that anyone had even read it so I was pleasantly thrilled. My favorite is the second one. Butterick 6947. Please enter me for that one. Wowser, Great giveaway. I would love the butterick pattern, as I think the other one is a tinsy bit too small... tee hee. The other one is gorgeous too but I don't think I'm of a skill level where I can downsize that much. As for sewalongs - I'm not joining any just yet as I'm still starting the sewing thing. Even though I have three projects on the go right now! Hehe. Beautiful Butterick and one of the few giveaways that has something even vaguely near my size! I'd love to be entered for this one please. I was doing the Lady Grey Sewalong with Gertie... I have the Pattern. I have the fabric. and I chickened out until I have lots of time! I would like to win either pattern. I haven't really been keeping up with what sewalongs are happening, need to get back into reading sewing blogs! 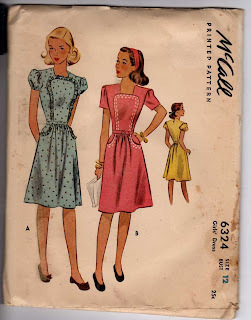 Enter me in the Butterick please! I got my pattern today! Thank you so much. I may forget about spring dress and make it instead if I have some fabric in my stash.